Reading Program: Every Wednesday, students will take their book bags home for the reading program and will bring it back next Wednesday to get a new book, Insha-Allah. 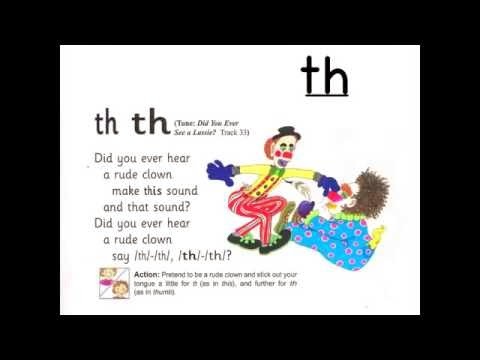 Writing: We did a craft activity to practice writing down words that begin with or have the three consonant digraphs “ch,” “sh,” or “th” in them. Look for 3-D shapes around your home. For example, marbles and oranges are examples of spheres and a tissue box is a rectangular prism. Sort and classify the shapes by size and colour. You can also make models of 3-D shapes with toothpicks and play dough. 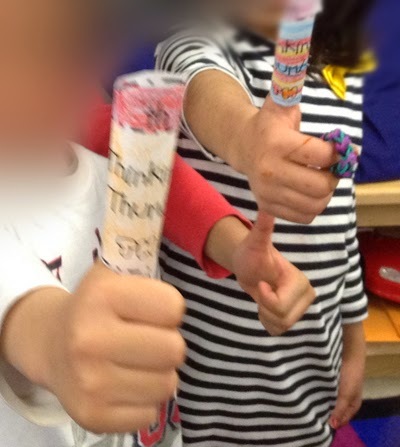 In Science, we started our spring unit. 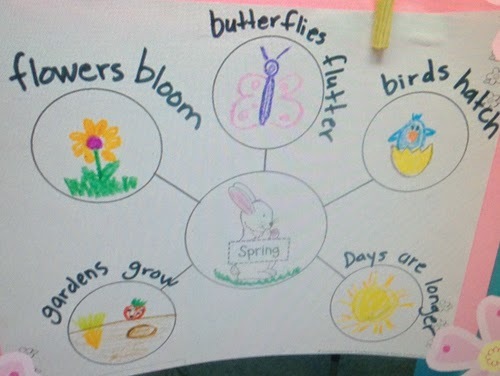 In our first lesson, we brainstormed signs of spring as a class using a circle map and then talked about how we can describe spring using our five senses. 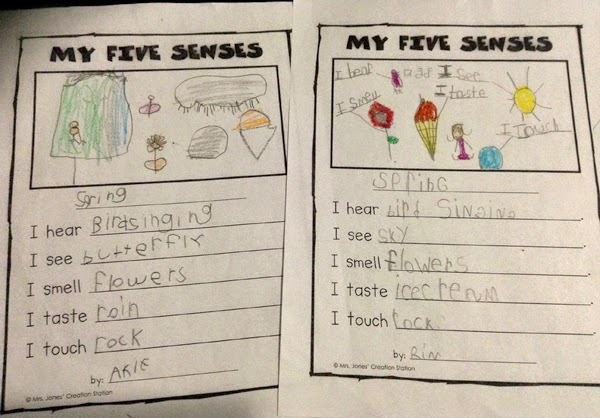 SK2 did a great job participating and taking turns to write about spring using their five senses, Masha-Allah. We reviewed the steps of Salah and continued to practice praying in class. We made a “Consonant Digraph Garden” by writing down words that has "ch", "sh" and "th" consonant blends on each flower petals. We went to watch the Abraar School talent show organized by the PST. Two students, Laila and Saara, from Sk2 participated in the talent show by singing the songs ”I am a little teapot and “The blue sky is blue like blue bubblegum.” Thumbs up to their great performances, Masha-Allaah. We are very proud of them!